Did you know August 10 is Lazy Day? We don’t really know where this holiday came from, but we’ll take it! The fact is, all of us deserve a day of nothing to do every once in a while. Quite a lot of research shows that many Americans do not get the rest and sleep they need, which has led to a surge in sleep disorders in the past few decades. Therefore, “laziness” can be a good thing. Our minds need time to relax and rejuvenate. And sometimes our most important life decisions are made after taking some idle time to reflect. Not to mention, having arthritis requires a certain amount of rest to allow joints or inflamed tissue to heal. We all do a lot of reading that’s not exactly fun — email, apartment leases, taxes, billing statements, text messages from people we don’t even know… The list goes on and on. So on this Lazy Day, why not lie back in bed and leisurely read a romance novel or legal thriller? 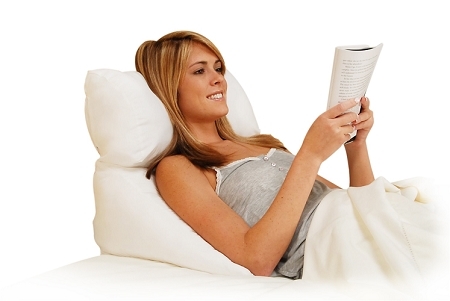 The Contour Wedge Flip Pillow is perfect for this purpose. This soft pillow is actually two pillows connected together that can be folded for a variety of comfortable positions for sitting up in bed, lying on your stomach, or propping up your feet. Perhaps the most obvious thing you can do on Lazy Day is take a nap. Napping is actually a healthy daily routine for many people, assuming their nighttime sleep patterns are normal. 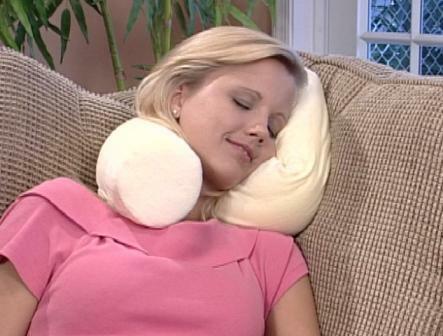 For daytime napping or even nighttime sleeping, you may consider the Contour Side Sleeper L Pillow. The benefit of this large, very cushioned pillow is its L shape, which allows the user to sleep on their side more easily by providing head and arm support, all in one pillow. Although you probably cannot afford to be lazy every day, Lazy Day is as good a day as any to find the best way to get comfortable in spite of arthritis. © Copyright 2016 The Wright Stuff, Inc. Articles may only be redistributed in its unedited form. Written permission from The Wright Stuff, Inc. must be obtained to reprint or cite the information contained within this article.